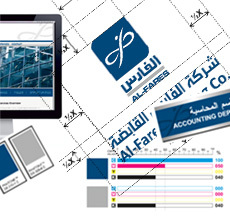 The four major categories of our work are Logo Design, Corporate Identity, Branding & Corporate Profiles. In addition to other creative works that we perform such as Advertising and Graphic Design. So far We have designed and created over 600 logos for hundreds of entities spread across the globe, and almost covered every type of business and field of work. 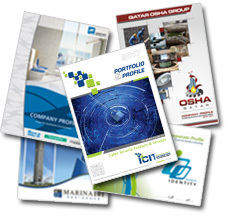 It is just the tip of the iceberg in our logo portfolio. Over 100 corporate identities created so far, all include a detailed Guideline and Corporate Identity Manual (Contact us to request a sample). Hence that, a Sample CI requires notification and approval of the owner. 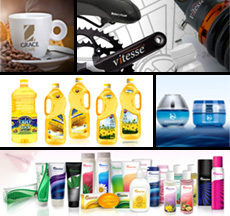 In addition to FMCG , we have engaged in branding all types of services, from computer softwares, insurance plans, events, promotions, festivals, sales campaigns, occasions, to buildings and construction projects. A corporate profile is more of a solid proof that is constantly required by medium to large firms in order to bid for projects and exhibit their capabilities and showcase their products and services.